Rockman Corner: Do You Want to Play Challenger from the Future in English? When I saw this post I got totally excited and started bouncing up in down in my chair because I really really really want this game in English so I'll know what the heck is going on because even though everyone else hates this game it's one of my favorite oddball titles! ... I'm a little hyper from this post. Sorry. ._. Sure why not it's not like they're are any real Mega Man games coming out. Or even fake ones since Freudenstachel finally got released. If he's translating it himself? Sure. I could just stand to see a better translation of the game script. I choose not to believe the one floating around RPM is all that accurate. What with R-Shadow telling something like three different stories over the course of the game, and coming to what are either omissions of some kind, poorly translated conclusions, or just being from a less than stellar source. English patches for Japanese-only titles are most welcome. If I can find a working ROM/emulator, that is. A translation patch of Challenger From the Future? Sure. By all means, go right ahead. On a side note, I also think it'll be awesome if someone were to do an NES-style remake, much like what was done for Mega Man 7 and 8. I do. It's technically the original MegaMan 10. Really wanna check it out. Yes, please translate it. I will play it, I promise. Do it!!! this is my favorite obscure megaman game!! also remember Ariga loves Konroman!! DO IT! I'd love to see a translation of this game! Oddball title as it may be, I say it's definitely worth getting a translation of. Hell yeah. Of course I want it. And I know a handful of people that want it as well. The game is awesome after all, the only big drawback is that the items can only be used once... not that you need all those items right? Also I am really curious about R-Shadow. He looks a lot like Quint but I know he isn't. I'd love to see this happen. Yes please! I'd enjoy playing some mediocre Megaman. Since there re not many real megaman games coming out. I said GO FOR IT!!!!!!!! I'd play this, I never got a chance to play it back when it was first released. yes, of course... its a megaman game, and with this, we can rescue some part of the megaman story... besides, not only the title will be more known, the wonderswan will be famous later of years in shadows... (sorry for my bad use of english .__.)... the work in rockman exe WS was perfect and do the same with Megaman & Bass 2 is great. I'd play it just for Dangan Man. I would replay it again just for the heck of English. I say go for it -- it's a quirky story and the English-speaking fandom could use wider exposure to it. Why is interest being gauged for this? R&F2 is a small project. The script is already translated (http://megaman.wikia.com/wiki/Rockman_%26_Forte:_Mirai_Kara_no_Chousensha_Script) and figuring out text modification and re-pointing is something that's meant to be done before a project is even announced. I have my doubts about this, but I'd love to be proven wrong. @Prof 9: oh wow. That's going to save him a lot of time. As you said, though, it's a matter of dumping all that back. Oh yeah, and a good emulator please! Aw, what the Hell. Go for it, I'd be interested. Yesss!!! it would be AWESOME to play this in english! Yes I wanna play it in english. I really wouldn't mind it. I did not enjoy the game, but every Japanese-only game should get a translation of some kind! Actually, there is a better emulator for the wonderswan games.. What emulator do you use and what version ? It'd be much appreciated and certainly used to the fullest on my end. Absolutely! Please do it?! We need all games translated! This is so relevant to my interests. I'm fine with this. I originally played the SNES Rockman & Forte as a translated ROM. Seems fitting to play the pseudo-sequel in the same manner. I'd like to see it! Yes I would like to play the game in English! I was waiting for someone to do this! Have enough comments yet? Get to it man! Thank you! Yes please! I want to play this in english OH SO REALLY MUCH! What a silly question. Of course we want. In Spanish ? How boring. Always in Spanish everywhere in the USA. Enough! If you want it in Spanish. Do it yourself! I would LOVE to see an english patch! just please use your own traslation we already have one in the wiki. Man this game needs to be remade in nes style,remember this? I would LOVE to see an english patch for this game!! 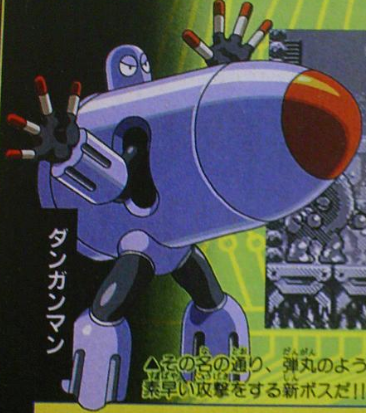 just please use your own traslation we already have one in the megaman wiki and that would be just copy paste. Man this game needs to be remade in nes style. Remeber this? Gimme a script dump of this game and I'll translate it for you, then you can do the hard parts (insertion, editing, hacking, testing). Oh, there's already an English script? OK, gimme the Japanese and I'll just translation check the current script, that's even easier. The script is in the story conversation section. Yeah, I'd totally want it, it's one of the few classic games I never bothered to play, this is just the push I need to change that. I'd love to see this game not only translated, but given a full overhaul like was done with the MM7 and MM8 demakes. The game has the potential to be pretty awesome AND in English, so maybe one day someone will set about doing so! A translation patch would be really nice, not to mention easy with all the translations of the scripts and stuff all readily available on the internet. What will be difficult, however, is programming a proper emulator or getting controls done right for the whole Vertical viewpoint stages that this game has numerous of. It's one of the reasons why I had to go hunt down an actual WonderSwan Color and this game on eBay many years ago in order to complete it. You'd have to turn your monitor to the side in order to beat these stages, and completely change the way you hold your control setup in order to play. I can't wait to see your work finished! No, I didn't given up. Just like Rockboard for years. I am working on Megaman sprites for game maker slowly. Yes, yes I would. Though I've never played it personally, I've watched it being played and think it is a decent game. I'd really like and appreciate it being translated into English. Thanks for doing so, and thank you Protodude for reporting it. What happened to this? It was such a good idea why did it die? nobody has even translated the the rom to english.